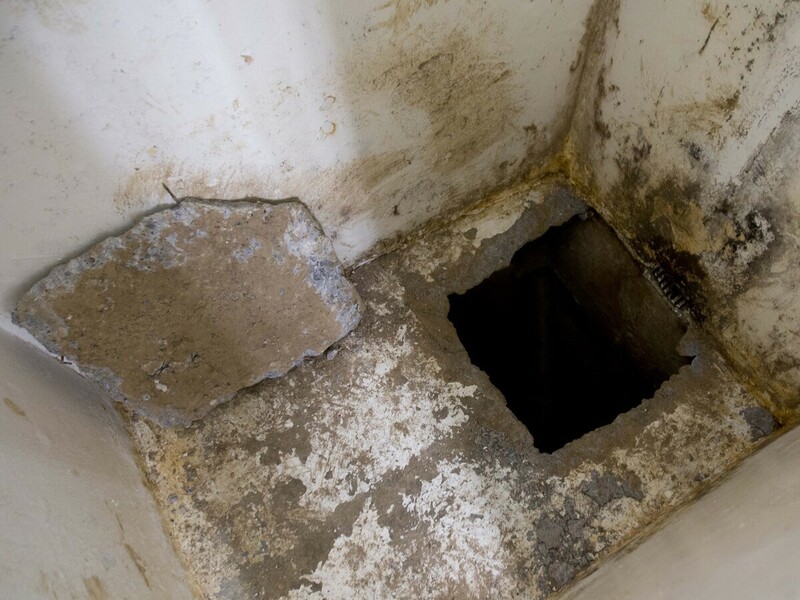 A Visit To El Chapo's Prison Cell (Now That He's Gone) : Parallels The Mexican drug lord escaped from a maximum-security prison via an elaborate tunnel that led to the shower stall in his cell. NPR's Carrie Kahn got a tour and shares what she saw. At Mexico's Altiplano prison, cell 20 was occupied by drug lord Joaquin "El Chapo" Guzman. He escaped Saturday night via a tunnel in his shower stall. 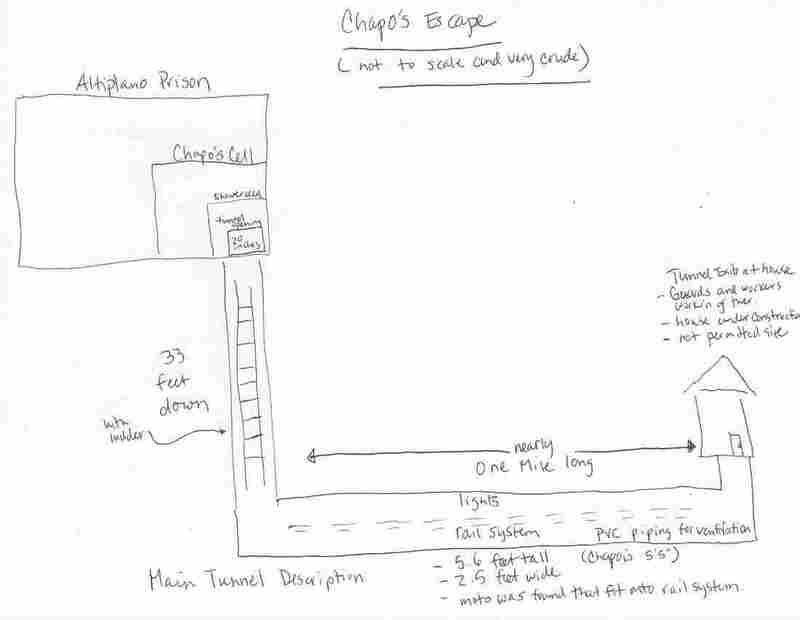 The opening of the tunnel was dug into the floor of El Chapo's cell in an area that was a blind spot for the video camera monitoring his cell. This screen grab of video from a security camera, dated July 11 and released by Mexico's National Security Commission, shows the man Mexican authorities say is Guzman inside his cell at the Altiplano maximum security prison, looking at the shower floor shortly before escaping through a tunnel below. Editor's Note: Since Joaquin "El Chapo" Guzman's dramatic prison break on Saturday night, Mexico has distributed 100,000 fliers and offered a $4 million reward for the nation's top fugitive. Officials also took reporters to visit the cell at the Altiplano prison from which Guzman escaped. NPR's Carrie Kahn was among them. We were taken through the front gate. It is a huge compound with hundreds of employees. It took us quite a long time to get to Guzman's cell. We had to pass through more than 20 locked doors, and at each door there are several guards. There are surveillance cameras. We had to have our IDs right up in our faces and at each stop, you had to turn and face up to a camera or had to pass slowly in front of a guard. We went down several passageways, up and down staircases and finally down one long hallway in what's called the "special prison section," where we reached cell No. 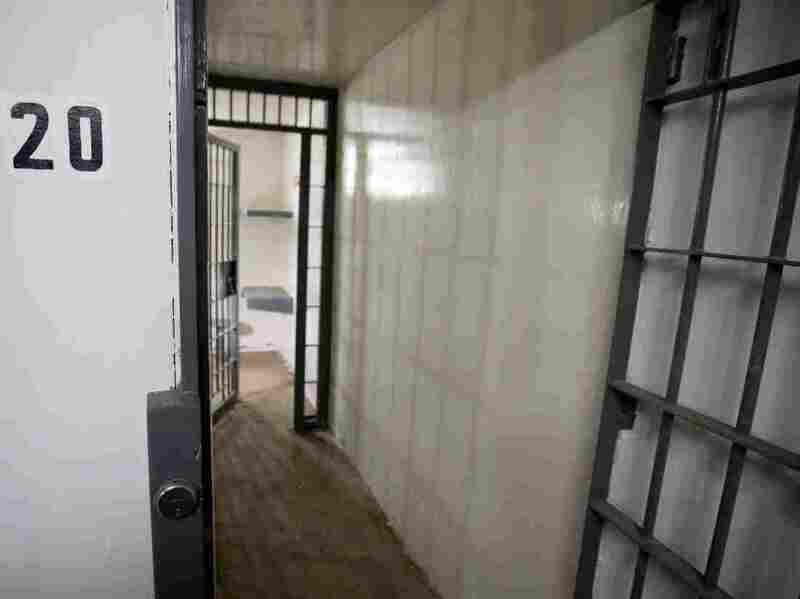 20 — Guzman's cell. It's a 60-square-foot cell. You have to go through two more doors and gates to get to it. There's one video camera that monitors the cell in the corner in the back, and then at the other end of the cell, there is a short concrete wall out of view of the camera. It came up to my chest. The wall is to provide privacy for the prisoner. But as we all know, it actually provided an advantage, a blind spot, where Guzman was able to go through the floor and out to freedom. NPR's Mexico City correspondent Carrie Kahn sketched a rough map showing how El Chapo escaped, based on information from Mexico's National Security Commissioner, Monte Alejandro Rubido, in a press conference on July 12. There's a gaping hole, about 20 inches by 20 inches, cut right out of the shower floor. It's just incredible — we walked through all this security, past all these guards. And then you're looking down this huge hole that heads straight down into the ground. I was shaking my head the whole time in disbelief. The hole in the shower floor, the concrete slab that was cut out, was really not that thick at all. It was about 2 or 3 inches. There was no rebar. You'd think it would be much thicker. Authorities say the engineers who built the tunnel must have had the prison blueprints and GPS devices to reach that exact point. But what about all that noise from cutting through the rock and the soil right there to the shower? There are so many people working in that prison, and no one heard anything? The number of people who were probably bribed or in cahoots or just intimidated is just staggering. Meanwhile, the fallout for Mexico's government is great. The U.S. cooperated to capture Guzman, and that cooperation is hugely strained at this time. Mexicans vacillate between disbelief and making jokes about the escape to outright anger over the spectacle, the embarrassment, and showing the world the great weaknesses in their institutions. It's really painful to watch.